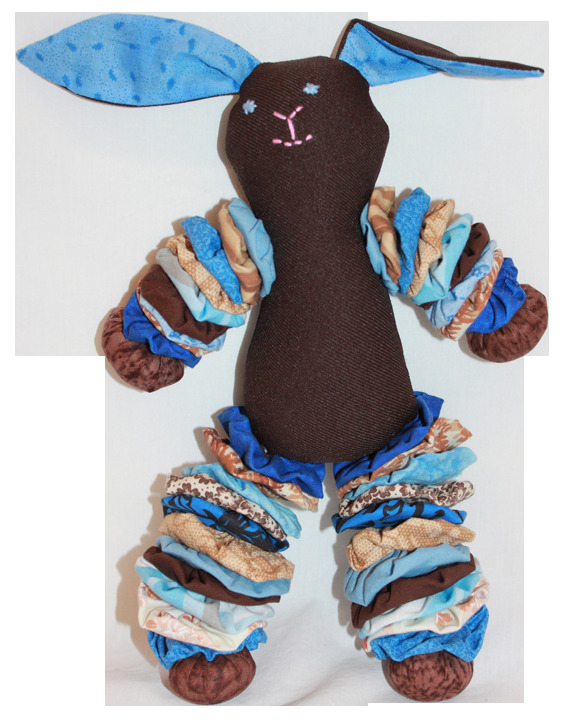 This bunny comes with a brown solid colored body with multicolored arms and legs. Hand-embroidered faces add unique character to each bunny. A sound maker makes the bunnies rattle or jingle when shaken.